Continuing an age-old tradition, with our combined practice and training we can offer design, consultancy and build. Whether you are looking for a free standing structure, building extension or repair, we have the experience necessary. We have built sunrooms and tree-houses, cabins and summerhouses, garages, balconies and porches. We have repaired 15th century frames and created sympathetic extensions to listed and heritage buildings. 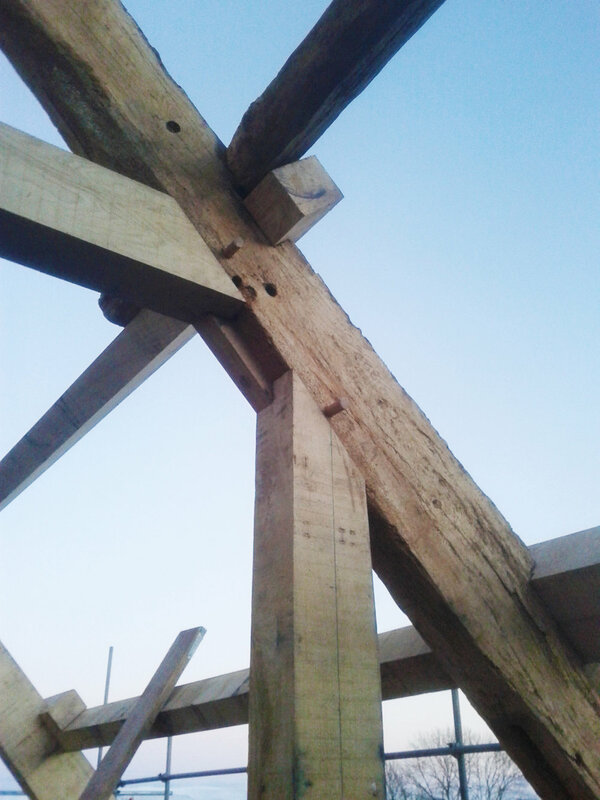 Raising a roof structure - with many repaired or replaced timbers - on a cold and foggy day in Wales! An extensive roof repair, using much of the original timber and stone built gable end.